A Learning and OD Consulting Corporation. Provides Intructor-led Training, e-learning solutions, OD services and consulting. March 8th marks the celebration of the International Women’s Day or United Nations (UN) Day for Women’s Rights and International Peace. We join the world as we give credit to all women across race, age, culture, or religion in all their achievements in various levels in history with the purpose of advancing women’s rights for gender equality and a better way of life. Our team in Green BOX are predominantly women and I have witnessed how they demonstrated their unwavering dedication to the business in terms of time and effort, their ardent sense of compassion to those in need, and their firm resolve for truth and justice. All of these attributes they were not born with but were learned through time and experience. These life lessons did not come in easy, some were painful and highly stressful. And this is why as we celebrate our being “women leaders”, this also calls for the need to take care of ourselves. For some busy people, it is almost natural to deprioritize the need to listen to their core and address what it requires. And when this happens, the outcome almost always is not positive. Our team would like to share with all our readers, women and men alike — the need for self-care because we believe that everything starts with the self and that there is only one “self” that we need to attend and nourish. We have collated a few self-care tips we chose (among so many!) to engage ourselves into and hopefully inspire our readers to do the same. These tips will come out here in our blog in a three part series. Here’s the first part we have put together for you. 1. Indulge in a body massage or spa treatment. Women do a lot of physical activities starting from household chores to running errands, taking care of children, managing their career and a whole lot more! Physical activities as such can zap women’s energy and strength leaving a sore body and a tired mind. Relaxing our tense muscles is important to recharge he body so as to achieve a sound thinking. For the more adventurous there is also Acupuncture (have not tried this but a fellow business partner tried and affirmed its positive effect). If budget is a constraint, seek a family member or a friend who can offer a free back or foot massage (doing so can be time spent for bonding!) A once a month basic massage can be a good start! If you are capable of spending more, then a weekly schedule is more than enough. 2. Break away (temporarily) and head to your personal sanctuary. Women in general are busy people. Thus they need a time out from all their endless activities to spend time for themselves. Can you picture your own sacred place? It has to be special (for you) because this is where you would be spending your “Me Time”. Your choice of sanctuary could be any place you heart connects to. It could be your favorite go to place, a local church, a cozy coffee place or your very own room can fit the definition. What is important is that the place allows you to have some quiet time for self-reflection and for undisturbed centering activities. You will dictate how often you need a personal “time out”. Some people allot a minimum of 30 minutes a day, a few hours once or twice in a week or others use their personal vacation time four times in a year. Again, it depends on your calendar and finances (if your sanctuary is outside your home), the challenge here is you need to make it happen! 3. Be present in the moment. Worrying robs us of the joy the present moment offers. I know this maybe easier said than done but it can be done believe me! Given the many roles that most women carry, they often think about what to do in the next few hours, days, or even weeks and this can make them highly anxious. There is nothing wrong with planning don’t get me wrong, but if you over think the things that can happen or may not happen that you lose sight of the gift of what the present moment brings. Let me ask you, when was the last time you savored the taste of your morning coffee or tea at home? How about the last time you enjoyed your meal? Or were you always caught in a rush that instead of enjoying your drink you were busy thinking of your tasks in the next hour, day or week? Doing this robs you of the gift of the “here and now”. Have a mental note and check yourself whether you are living in the present or perhaps you are already in the future. Be in the present. Feel the moment as it happens. Enjoy the feeling as it unfolds now. 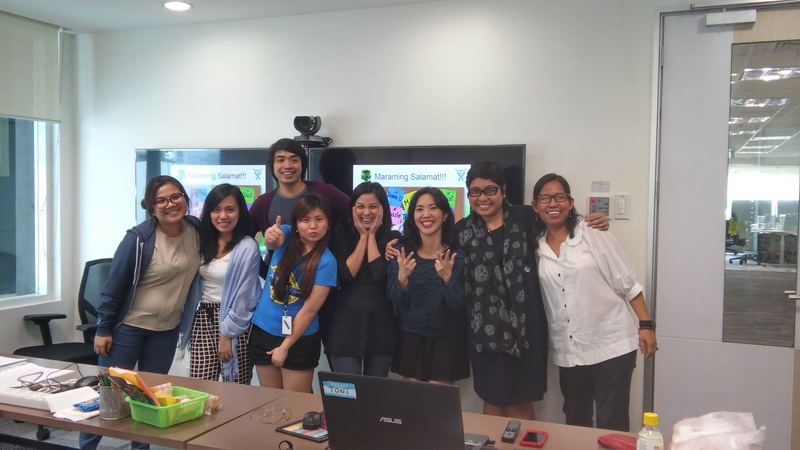 We hope you like our first of three blog series as we celebrate International Women’s Month! Stay tuned for the rest next time. Until then, include Self-Care in your To-Do list. You can try these tips we shared or feel free to create your own list. We’d be happy to listen to your Self-Care stories! To all women, live long and enjoy the rest of March! As 2017 closes in a few days, we say “Thank you” to each mind, heart and soul we met this year who have trusted Green BOX as both their formal and informal teacher. May the lessons you learned guide you in how you perceive things, in how you win your battles and in how you celebrate your victories. Cheers to Teaching and Learning! Cheers to Life! The Green BOX turns 5 this December! Abundance of Blessings in 2016! With grateful hearts, we bid farewell to 2015 which has given us opportunities to help others and to share our skills and gifts! With a strong faith and great anticipation, we welcome the blessings and challenges of 2016! We wish our client partner, contacts, our friends and families a wonderful New Year! May we all shine at our very best with the passion to serve and to excel in both our professional and personal life missions. May the heavens rain on us an abundance of blessings this 2016! TGBLS joins the world in celebrating World Wildlife Conservation Day! As HR practitioners and Learning & Development professionals, we at The Green BOX Learning Solutions not only have passion for growing and harnessing the potential of our human resource. We also value and have compassion for another important type of natural resource – our wildlife. Sadly in this day and age, this type of resource is rapidly decreasing mainly due to the activities of “human” resources. When people cut and burn trees on a massive scale, we consequently deprive wildlife living in forests and jungles of their natural habitats. When people improperly dispose of non-biodegradable materials in rivers and oceans, marine life suffers the consequences. When people use animal parts for traditional medicine, clothes and accessories, lucky charms, status symbols, or trophies, hunting and poaching wildlife for this purpose leads to whole species of life becoming endangered or extinct. We may think that we are not one of those “human” resources that are involved in bringing about the demise of wildlife. After all, we don’t directly cut trees, nor do we dump toxic waste in the ocean. It’s also unlikely that we are involved in poaching activities or in illegal wildlife trade. And so we tell ourselves that we’re not part of the problem at all and that the responsibility of conserving and protecting wildlife falls on the shoulders of government and non-government agencies instead. And why should we care in the first place? Some of us may say we’re not really animal lovers nor are we wildlife advocates. Some of us may say we prefer to focus our energies on improving the human species instead. Let those who love animals do the heavy lifting in conservation efforts. However, this way of thinking is just as damaging as the actual problem. If we don’t take responsibility for the actions of humanity against wildlife and continue to think it’s someone else’s problem and not ours, then we’ll never be part of the solution. And we all have a stake in the solution. UN studies show how even animal agriculture contributes greatly to global warming and thus to climate change, which impacts everyone and everything in the world. Ensuring healthy populations of wildlife helps maintain ecological balance needed to sustain all life – including humans – while contributing as well to biodiversity. We may be the dominant species on this planet but we are interdependent with all the other species of life on earth. We need them just as much as they need us. We cannot survive without each other. Today as we celebrate World Wildlife Conservation Day, we recognize those human resources who have both the passion and compassion for this precious and much-exploited natural resource. One need not be at the forefront of the battle for conservation, but at the very least we can spread awareness on the plight of wildlife. As world leaders meet in Paris to discuss climate change this week and the next, there is hope for all species to continue to flourish. Human progress and development need not occur at the cost of endangering wildlife and nature. Let us all do our part however direct or indirect in saving all species on our planet, and in turn save ourselves. This article is wriiten by Ms. Katrina Llona – a Learning Consultant in The Green BOX Learning Solutions, Inc. and a Wildlife Advocate. Last August 11th, the LaSalle Greenhills (LSGH) High School (HS) Community demonstrated that La Salle’s color isn’t just green – but ALL the colors of the rainbow! 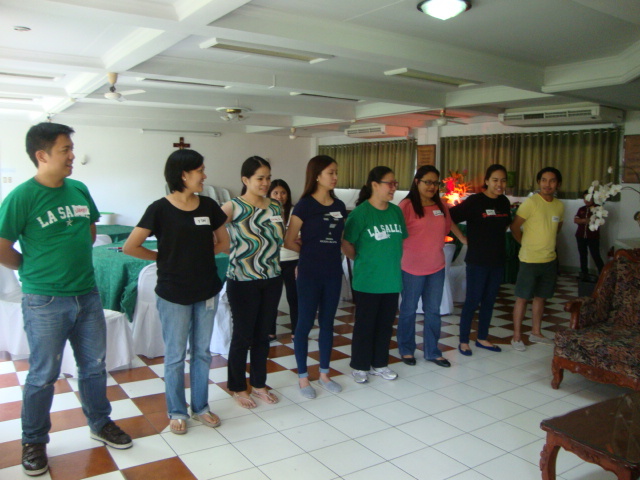 In a short team-building session with the theme “Color Me Rainbow,” the LSGH HS Family came together for a fun-filled afternoon of getting to know each other and working together to show their “True Colors” and how their colors and diversity complemented one another. The event kick-started with each LSGH HS Faculty/Administrator “diving into a rainbow ocean” of various colored balloons to find their individual name-balloons. As a testament to the spirit of faith, service, and communion that LSGH values, all 150+ participants got a hold of their balloons within a short span of 5 minutes by helping each other. Then, individuals with same-colored balloons teamed up to create and perform an energetic chant for the whole group. 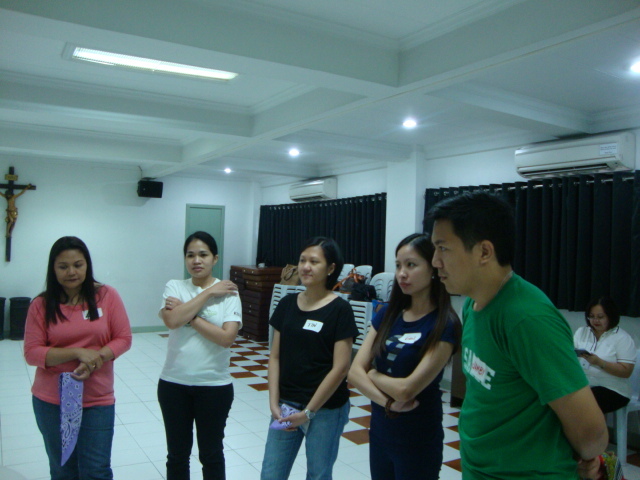 After presenting their enthusiastic cheers the color-teams regrouped with their facilitators who asked them to reflect and share personal experiences and associations related to their assigned color via their balloons. They then came together again to prepare a creative presentation that represented their team for the entire HS group to see. In the final wrap-up activity called “Our Rainbow Connection,” each participant displayed their personal commitments written on their balloons that were lined up next to each other to form the colors of the rainbow. The LSGH HS Family truly showed the beauty of their individual colors and their oneness with the whole community. 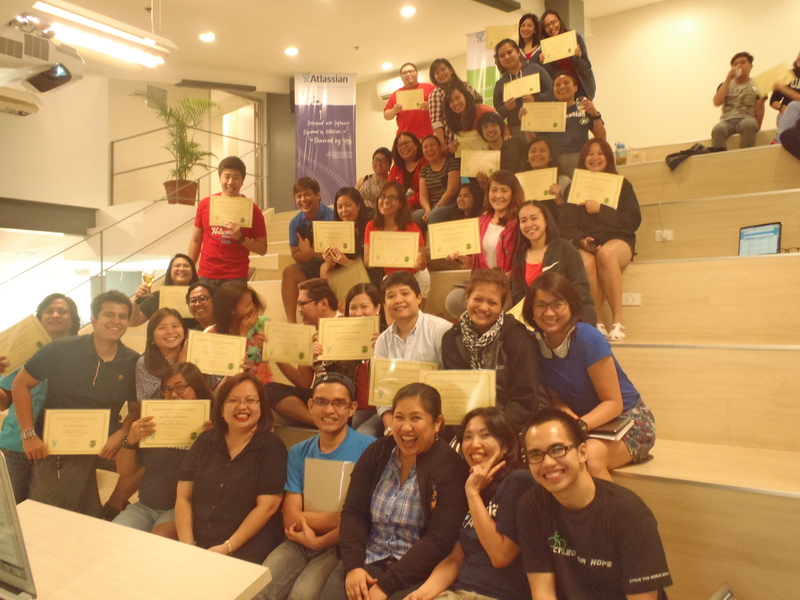 Along with thousands who graduated last March, Atlassian Philippines produced its own graduates who completed the course on “Effective Written Communication” held from March 16th – 27th. 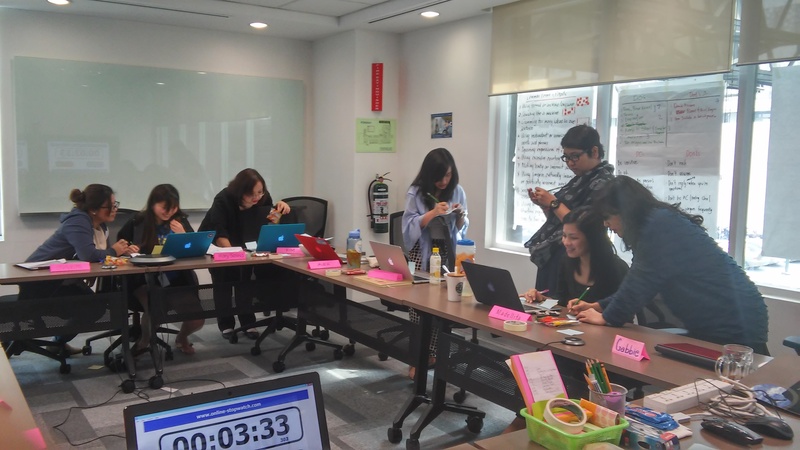 It also looks like the Atlassians had great fun while learning through sets of activities and exercises that allowed them to build their knowledge and skills. 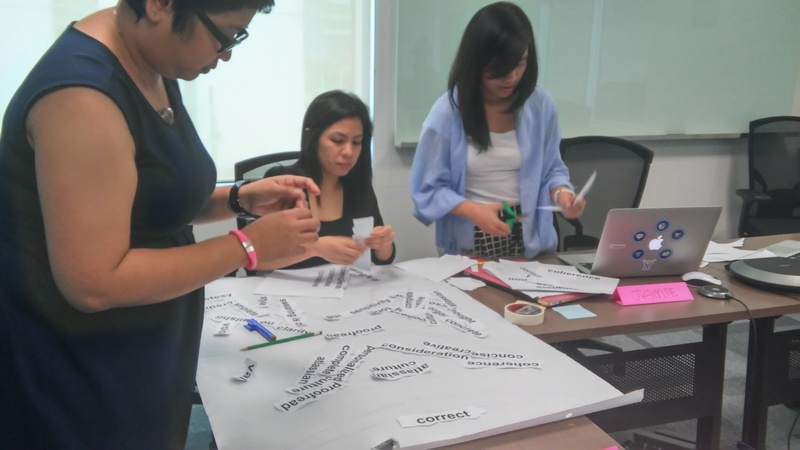 These also helped them gain a deeper appreciation for their fellow Atlassians and customers in other regions such as Australia, the US, and Europe by being made aware of the differences in communication styles and culture. 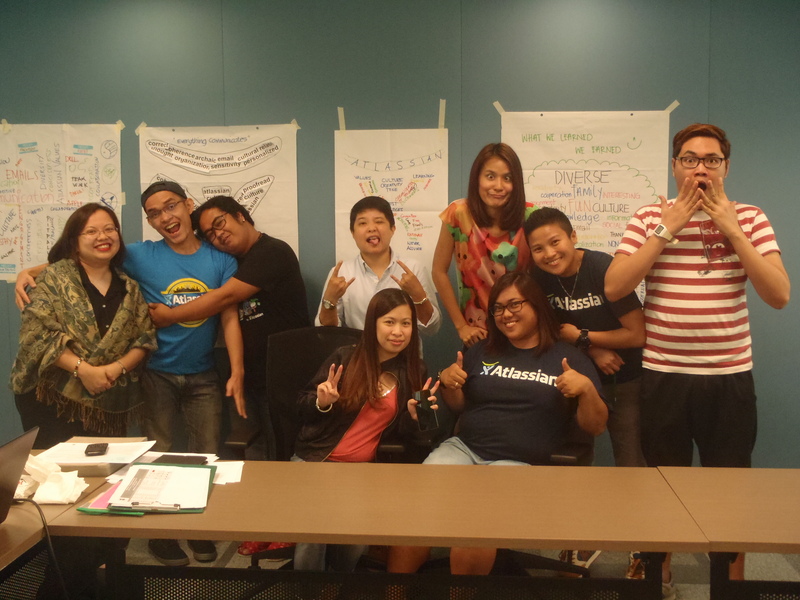 After going through the program, they say they now feel more comfortable and confident in using the Atlassian way of writing. The start of the school year frenzy is on! Parents and children couldn’t get enough preparation for the long journey ahead. But they aren’t the only ones gearing up for the uphill climb. 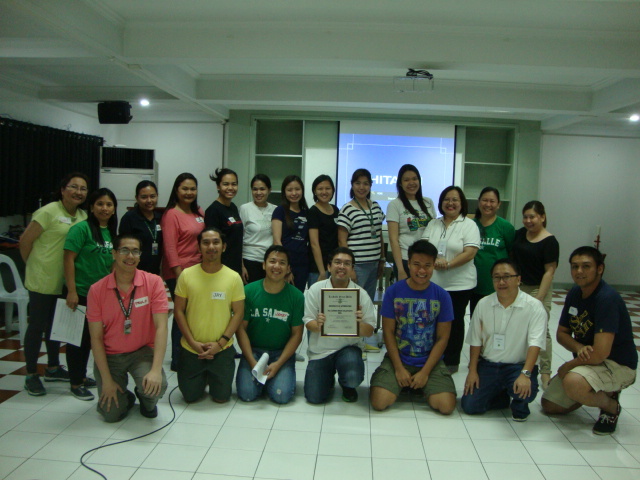 The La Salle Green Hills (LSGH) High School English Department Faculty team also had its share in getting “amped” for the school season through a team building workshop held last June 4 through a partnership with The Green Box Learning Solutions, Inc (TGBLS). The session focused on personal awareness as a step towards strengthening of interpersonal relationships, listening and trust-building. 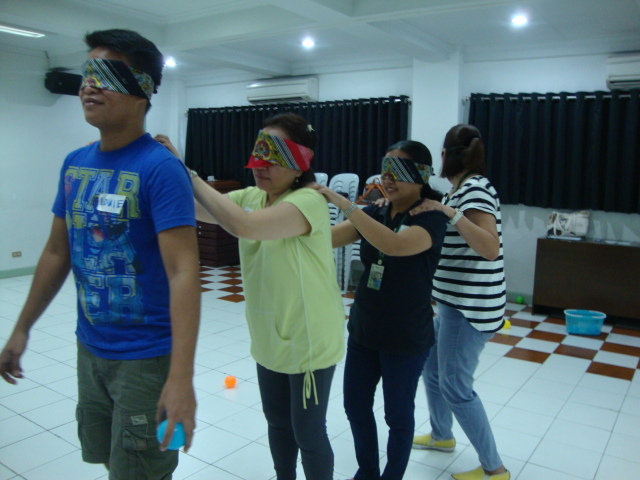 Team cohesiveness exercises were also facilitated highlighting the role of both the formal and the informal leader, cooperation and strategy planning. Over-all, the learners displayed enthusiasm and creativity, more than enough to solidify their vision towards moving as one team, all set for the new school year ahead. Thank you, LSGH HS Faculty Team! Animo La Salle! Take a look at your workplace, is any of these familiar: some if not all members of your team are located in another city or in another continent even; your work group is composed of people from different departments and report to different managers, coming in at different shifts, maybe speaking different languages; your entire team shares one office but when you interact and work together, it sometimes feel that you all come from different planets, with misunderstanding multiplying the time and effort it takes to get things done. A new challenge is be ing faced by leaders today, how does one manage employees’ perception that they are isolated from co-workers and are set apart at work and how do you maintain productivity and morale as offices feel less like an employee’s home away from home and feels more like an impersonal and technology- driven paper factory? Remarkably, these feelings of disengagement are brought about by our growing reliance on technology to communicate, on the need to work with others across distances and on the growing diversity in a workforce that is not just increasingly global in culture but also becoming a mix of people from four different generations. 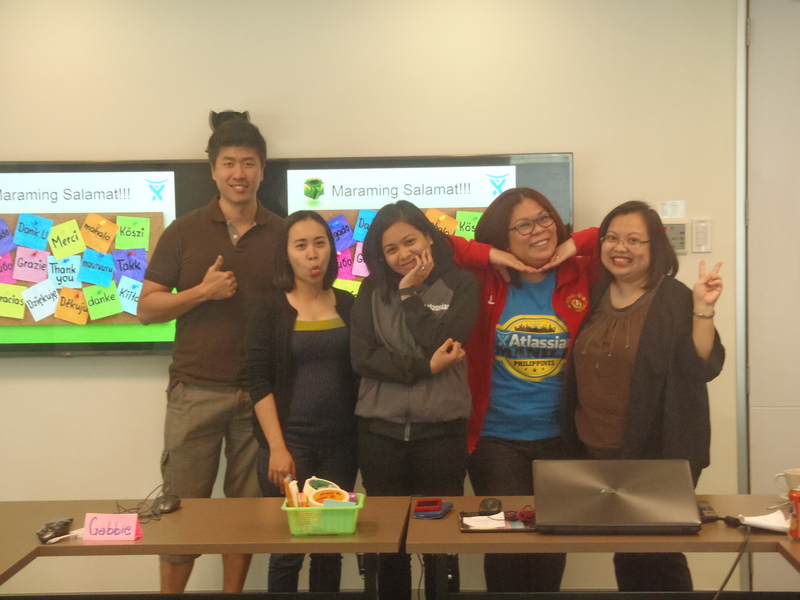 Last November 12, the Rotary Club of Pasig East through Past President Ammie Llona, invited the Green BOX Learning Solutions Team to talk to its members and guests about this leadership challenge. 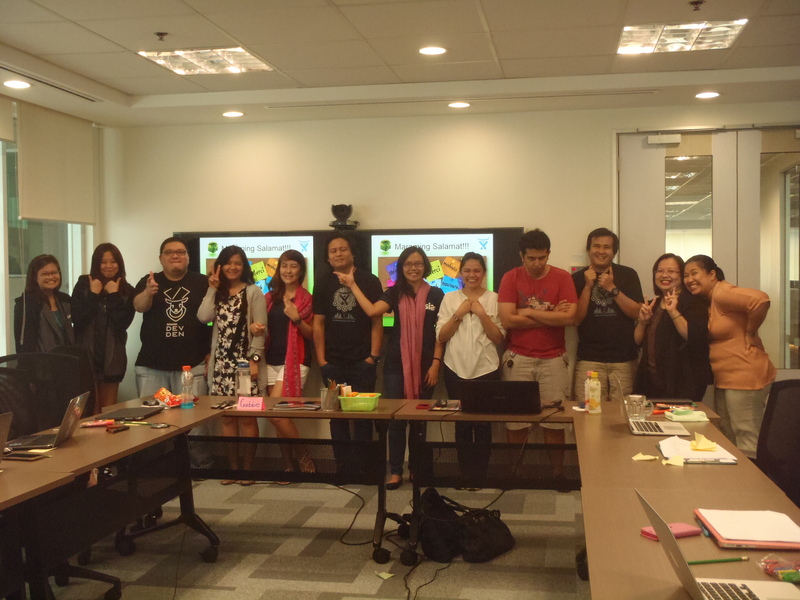 The Green Box Team delivered a short but well-received talk titled “Leading in a Multicultural Environment” for the audience composed of entrepreneurs, people leaders and managers from government agencies, community organizations and businesses. The speaker des cribed what are commonly known as “Virtual Teams” , work groups who, while having shared goals and responsibilities, has the added challenge of having to see and talk to each other mostly through electronic media like phone, e-mail or web chat. Members of such teams are usually divided by physical distances such as geography, site location and /or time zones or work shifts. The part of the talk though that generated the most interest was the discussion on the psychological distance that may exist between the members of a Team even when they are in the same location and sharing the same shift. The Green BOX speaker described the conditions that cause geographical distance, operational distance and affinity distance and the effect of each on the employee and on the team’s ability to collaborate and work smoothly together. 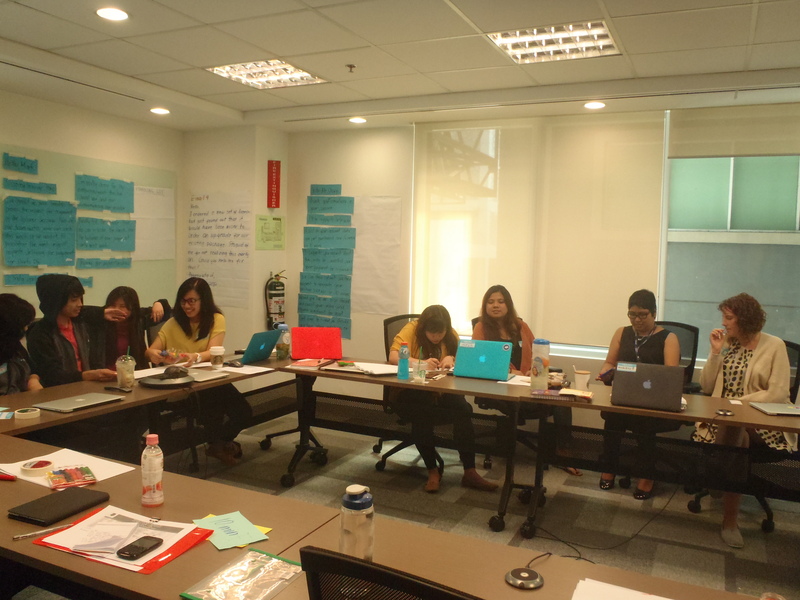 During the presentation, members of the Rotary Club of Pasig East and their guests took notes and frequently nodded, perhaps recognizing the effects in their own teams and companies. The talk ended with practical steps that a leader can take to reduce the effects of physical distance. Among the techniques a leader may use to reduce physical distance were: scheduling meetings fairly and maximizing the benefits and uses of face-to-face interactions. To bridge operational distance (which occurs when technology fails, is abused and /or is inappropriately or incompetently used) leaders may discourage multitasking when over the phone, communicate more precisely and use a commonly understood language avoiding jargon and acronyms. Affinity distance (which is brought about by differences in social status, culture and lack of a pre-existing personal relationship among members) may be mitigated by appreciating individual accomplishments and skills, providing opportunities for informal interactions when members can network, connect, and share personal experiences and establishing a culture of respect for various communication and working styles. The short talk emphasized the importance of having a diverse team capable of providing for everyone’s benefit a wide range of work experience, different approaches to problems, creativity and innovative thinking that may not be possible in a more homogenous work environment. Such diversity can be found built-in into virtual teams ready to be maximized. 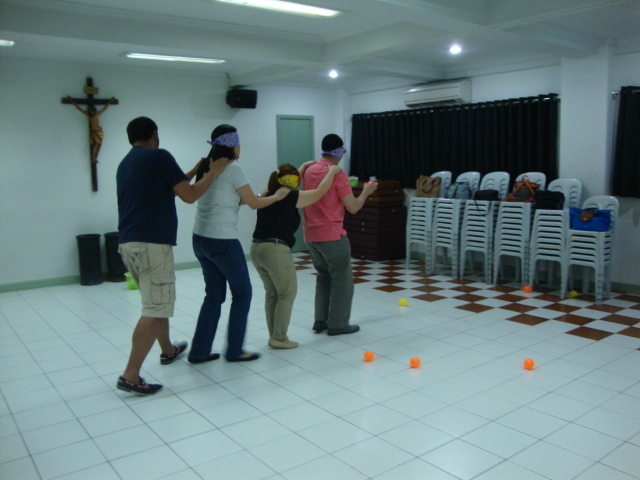 However, since such a diversity may bring out conflict among members, especially in a geographically spread team, it is a Leader’s responsibility to establish and promote an environment that is open and inclusive, embracing and appreciating individual members and sustaining warm personal relationships even across distances. For our host that evening , The Rotary Club of Pasig East, itself is an organization of great diversity bound by a common need to be of service to their community, the talk was both an eye opener and a helpful learning add-on to their weekly meeting. This blog is authored by Majalla Gabrielle “Gabbie” Silverio. 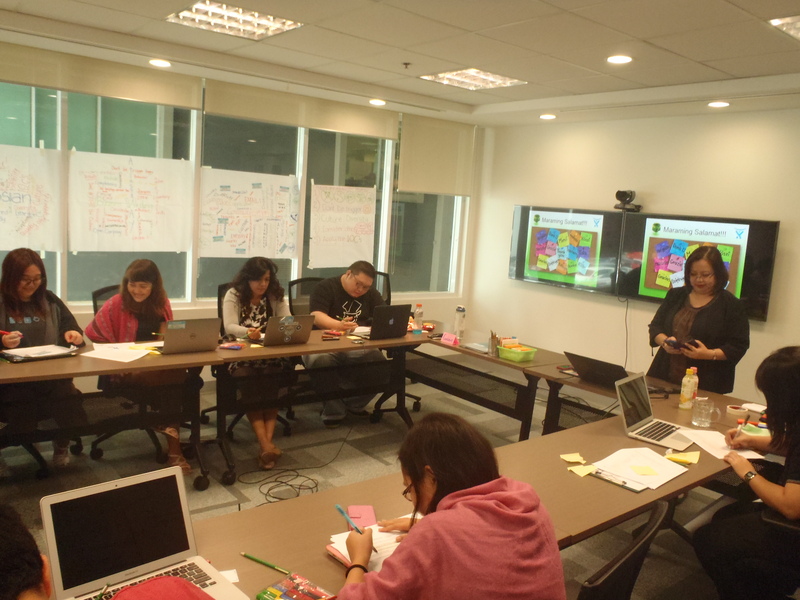 Gabbie currently works as a Learning and Organization Development Consultant in TGBLS. She had HR L&OD career experience in industries such as the BPO and Automotive. A graduate of B.S. Physics in U.P. Diliman, Gabbie enjoys writing for the TGBLS blog, reading, and playing as the favorite aunt to her grade 1 niece, Miko.